There’s nothing ordinary about Bauer Farm Kitchen. The unassuming street-front entrance leads you down two sets of stairs, past wine-filled walls into the dining room, which welcomes you with soft lighting and a calm ambience. It’s easy to get comfortable and dive into the menu filled with German- and French-inspired shared plates. 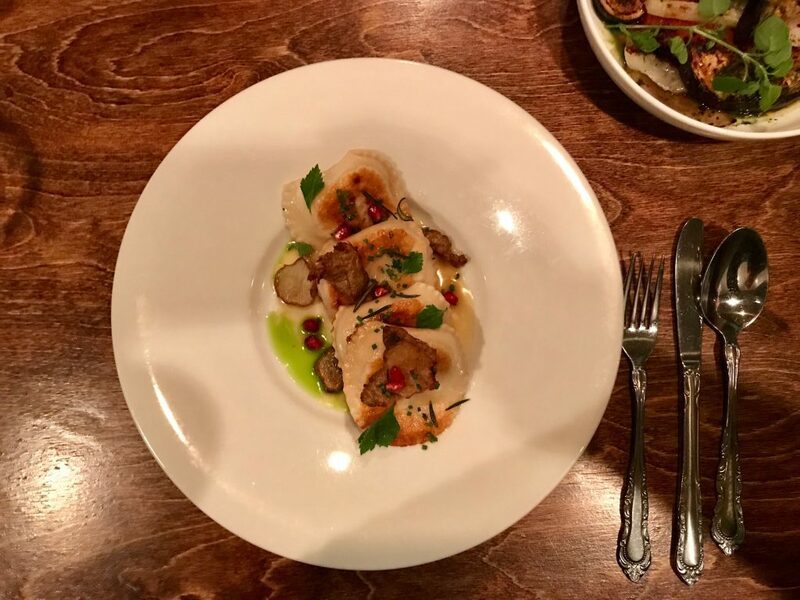 To start your dining, we recommend you try the Babushka Pierogies from the “small plates” portion of the menu. The duck confit and chestnut filling is made locally at Findlay Market and stuffed inside the crisp-edged dumplings. Topped with roasted sunchokes (a root vegetable with a potato-like texture), pomegranate, and fried rosemary, this dish is full of light flavor and melt-in-your-mouth texture. The pomegranates add a slight burst of moisture to each bite, complimenting the dense filling. 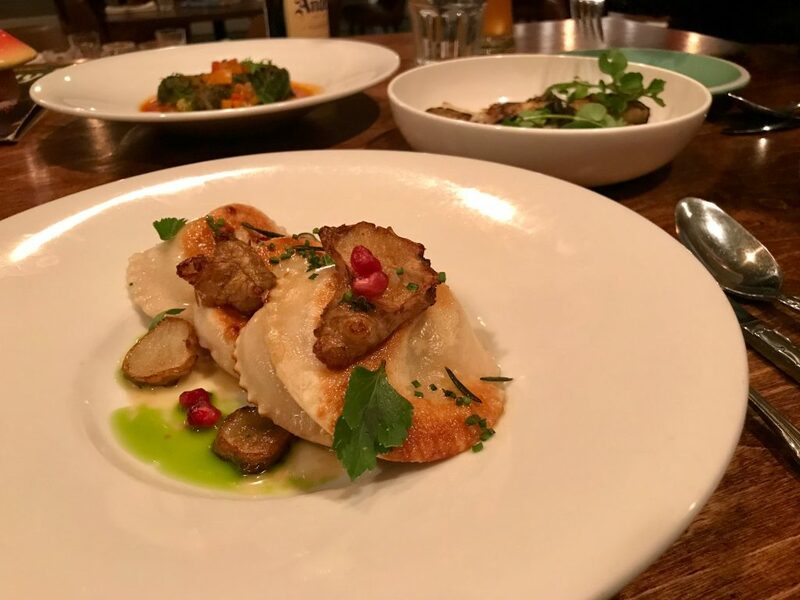 Four pierogies are served on one plate, and, trust us, you’ll want another dish to pair. The Ratatouille is a perfect second choice, with wood-grilled eggplant, smoked tomatoes, and savory onions. But no matter what you choose from the menu, you’ll likely be satisfied. Bring a friend (or three) so you can share between menu items.